With this set you'll get all the colors of the titanium plated screw nosepiercings at once. 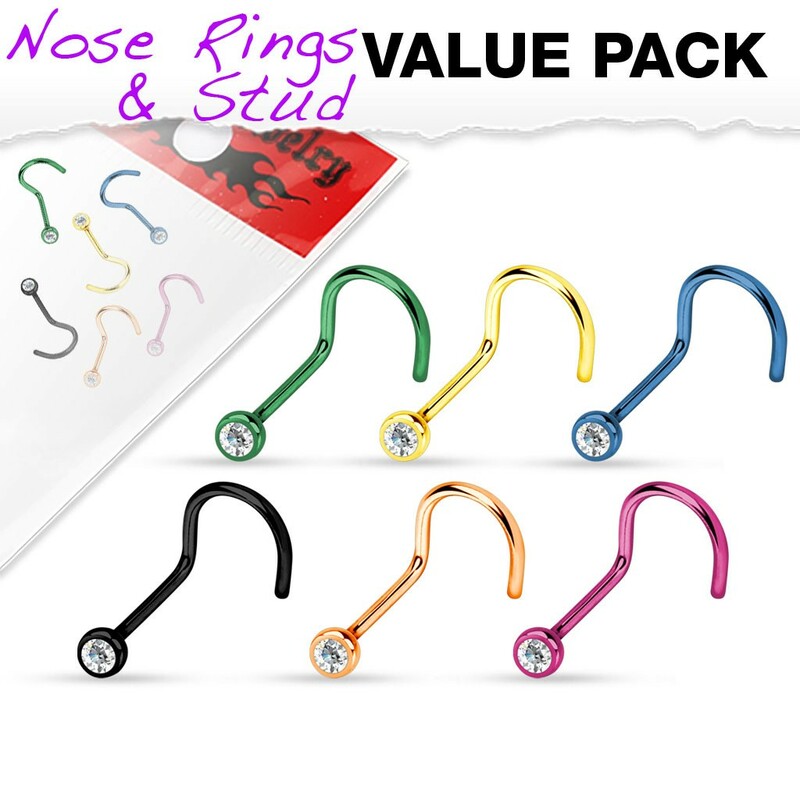 Consisting of six piercings these nose piercings are made of surgical steel and have a layer of titanium. 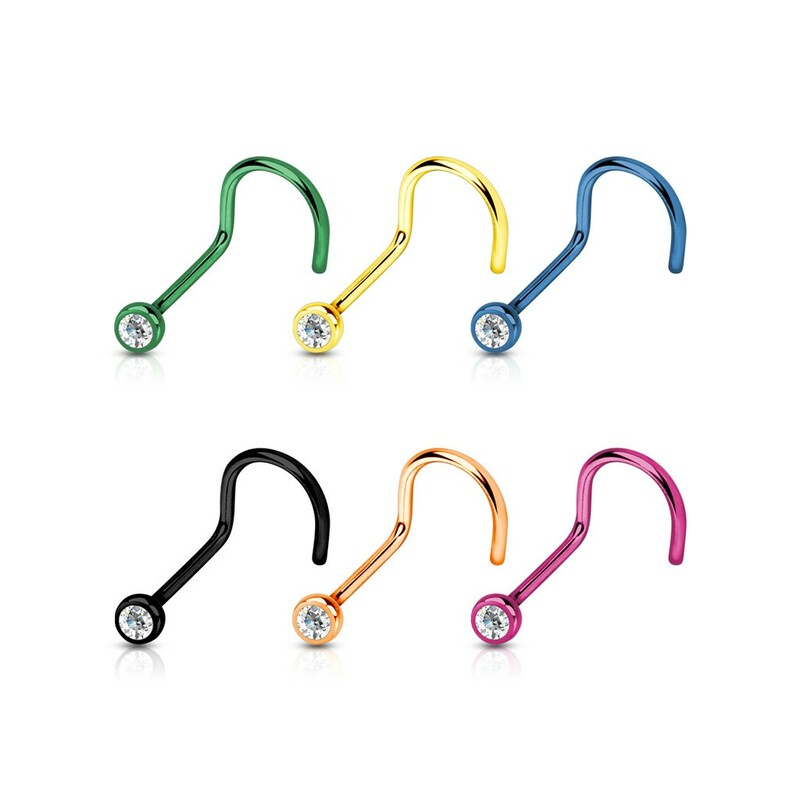 The top carries a clear crystal that emits a soft glimmer.